Rehabilitating a Drugged and Toxic World. The planet has hit a barrier which prevents any widespread social progress–drugs and other biochemical substances. These can put people into a condition which not only prohibits and destroys physical health but which can prevent any stable advancement in mental or spiritual well-being. 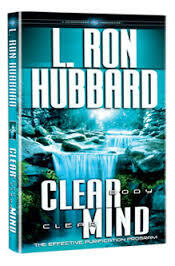 Read Clear Body, Clear Mind, and discover the miracle for yourself.